If you know me well, you know that i am a big advocate for true love. Yep, I am one of those silly hopeless romantics who believes in soul mates, fairy tales & happily ever afters. I also recognize & understand that many people haven't found their soul mate yet. I know I haven't been single in quite a few years, but I haven't forgotten how it felt. I remember feeling disappointed because God had given everybody a husband but me. I remember feeling the love of my friends & family but feeling like it wasn't the same as having that one person that loved me the MOST. And I remember feeling frustrated as people constantly tried to set me up or consistently asked why I wasn't married yet, implying that something was wrong with me because I wasn't. I was at times completely content single, and at other times not at all, and wondering why God was just handing out husbands to everyone but me! It was a fun time of my life, but also hard, especially in my late twenties. So please trust me when I say that the last thing I would ever want is for my love story to bring pain to someone else. I understand this feeling, because I feel it in a different way every time someone posts a pregnancy announcement. It is just so hard to understand why something that comes easy to everyone else isn't coming to you at all. It's hard. I want to share my story of finding love, because it is such a picture of God's faithfulness to me. It is a part of my story and it belongs here. But please know that I acknowledge where you are too, and I completely get it if you roll your eyes & skip reading all of this! Our love story is written on this blog in four parts (it's kind of a long story!). Please feel free to read them all! We just celebrated 8 years of marriage, and I can honestly tell you that we are still just as happy & in love today as we were the day we said "I do". Yes, there are hard times. Infertility & miscarriage is possibly one of the hardest things you can face as a couple. But there is nobody I would rather have by my side than Brad. I am so thankful that he is my husband! 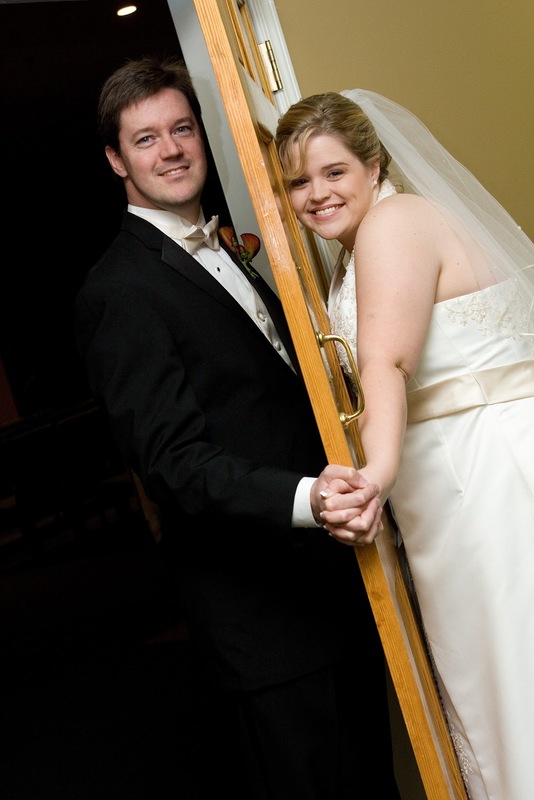 Or check out some pics from our first days as husband & wife!